How are ePub Audio Books Made? Guide On: How are ePub Audio Books Made? Electronic books are quickly transforming readers’ experiences, from portability to interactivities. One of the fast emerging interactivities in the publishing industry in audios, readers, can now not only read their books but listen to them as well. Audio books are therefore electronic books which can be listened to apart from being manually read. Research has shown that reading and listening to the same content improve readers’ understanding of concepts being passed across. Furthermore, audio books are also serving a great advantage to individuals with very busy schedules; when occupied with lighter duties, such people can always listen to their books. 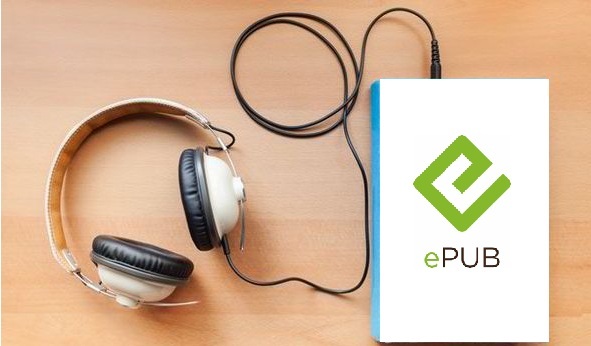 ePUB is one of the most popular and widely used formats for creating eBooks. For those writers who are thinking of creating their work in audio books using the ePUB format, or perhaps for the curious readers in search of new knowledge, keep scrolling down the paragraphs as things will get clearer. The very basic and elementary stage of coming up with an audio book is preparing the raw texts in the ePUB format. For more information on how this is done, go through our article on ‘how to create ePUB files’ on our website. What next after creating ePUB text files? Have you ever seen or heard of narrators? If not, these are persons or voices that the creator of a story or written content employs to deliver information to listeners. They do this by use of their ability to correctly and attractively pronounce words. After a writer has prepared content in text form, it is taken to a narrator who reads out aloud in a clear, uniform and attractive voice. The voice of the narrator is recorded as the content is read out aloud. The quality of the sound recorded must be so clear such that the reader or listener of the eBook is not disrupted by a shift in voice while listening to a book’s narration. Most audio books tend to have two narrators, one with a female voice, and the other with a male voice. It is the reader to select on the voice to listen to. After the narration stage is over, the recorded voices are proofread against the raw content to see whether any parts of the eBook were left out during the narration or were not well pronounced. Any errors detected are then corrected at this stage to avoid giving the wrong information to listeners. Embedding the voice notes into the ePUB files comes last in place. Various applications in place are used for this task; the Adobe Indesign Suite is one such application that can embed media within ePUB files. It takes the effort of coders, and audio book designers efficiently generate sound within an electronic book. After the voice notes have been embedded, the final product which is an ePUB audio book is again put through a thorough test. The texts and voices are counterchecked to ensure they word work hand in hand and do not deflect from each other under any circumstances. As a confirmation, read along highlighters are used to display the texts in the audio book as the narrator reads along. If the output is satisfactory, the audiobook is now ready for sale to listeners and readers. We have a pool of quality skills which you can exploit as you make your audio books. Kindly consult with us at our offices or contact us for a satisfactory response from our customer care team. Our publishing services are qualitative and affordable.